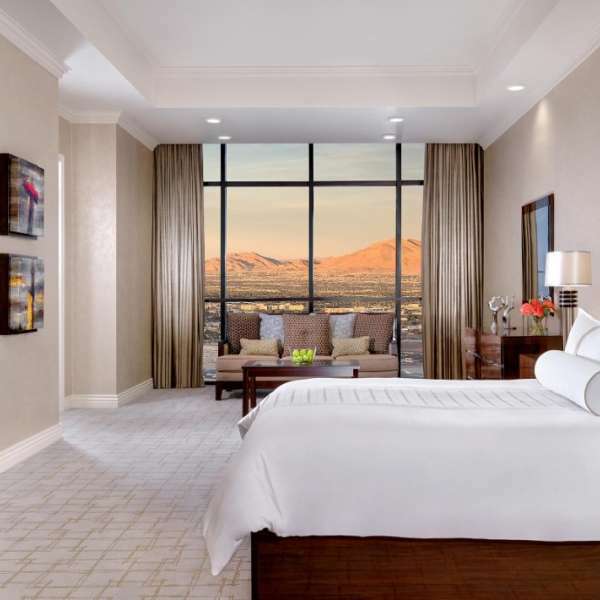 Life is suite with 3,000 square feet of luxury! 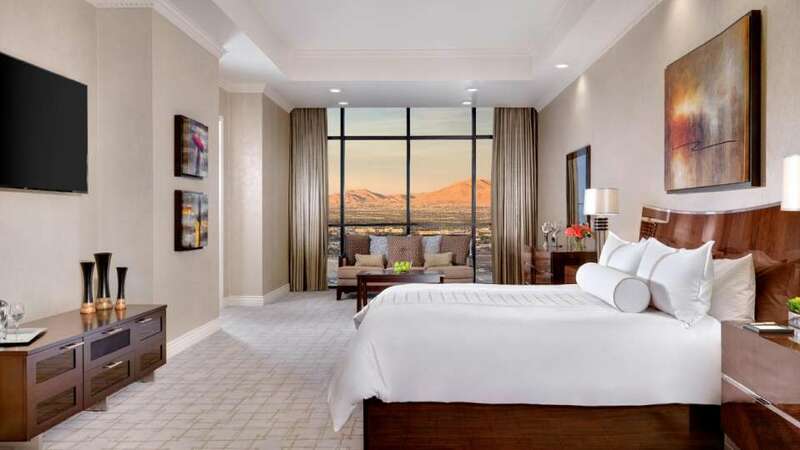 The recently remodeled Tower Penthouse Luxury One Bedroom Suite offers a pleasurable haven for your stay. 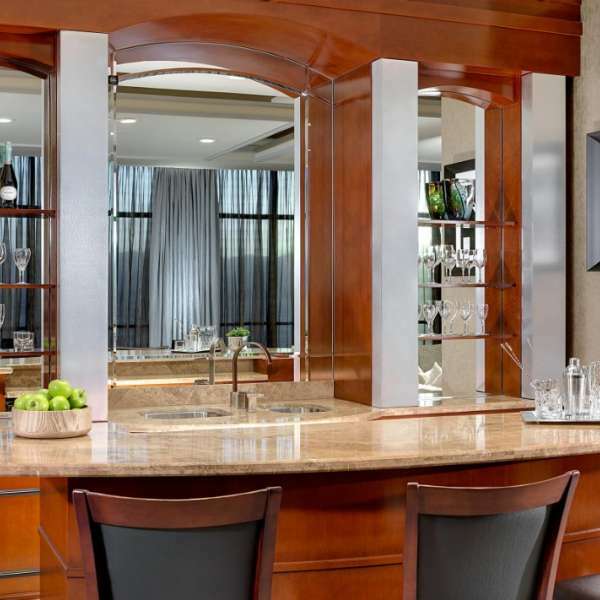 Designed for entertaining, the suite is complete with two living rooms features flat screen TVs, as well as a separate dining area with a refrigerator, gourmet coffee maker and full wet bar. 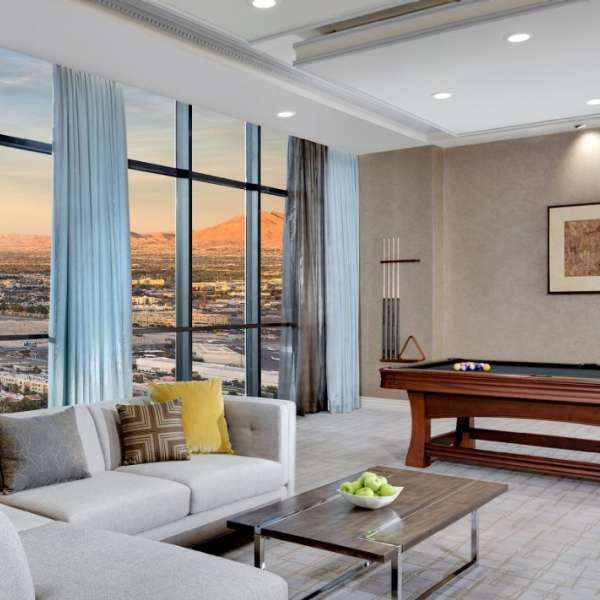 Living room and pool table in the Tower One Bedroom Luxury Penthouse Suite. 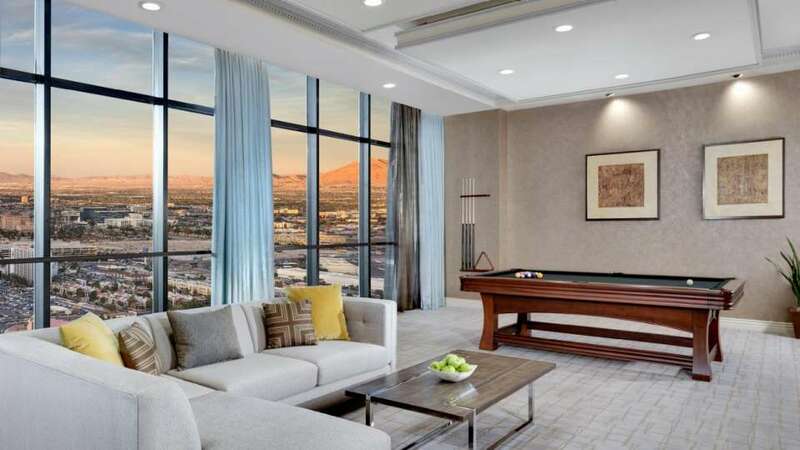 Master bedroom in the Tower One Bedroom Luxury Penthouse Suite. 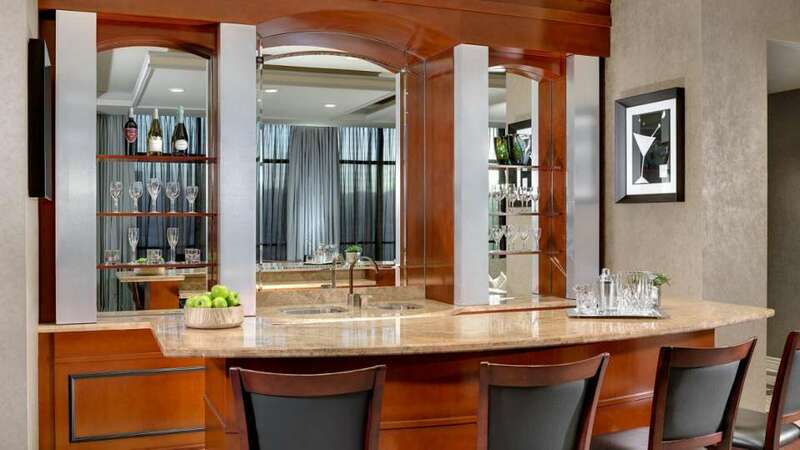 Wet Bar in the Tower One Bedroom Luxury Penthouse Suite. Master bathroom in the Tower One Bedroom Luxury Penthouse Suite.